Designed and made one by one by Stan Altman. 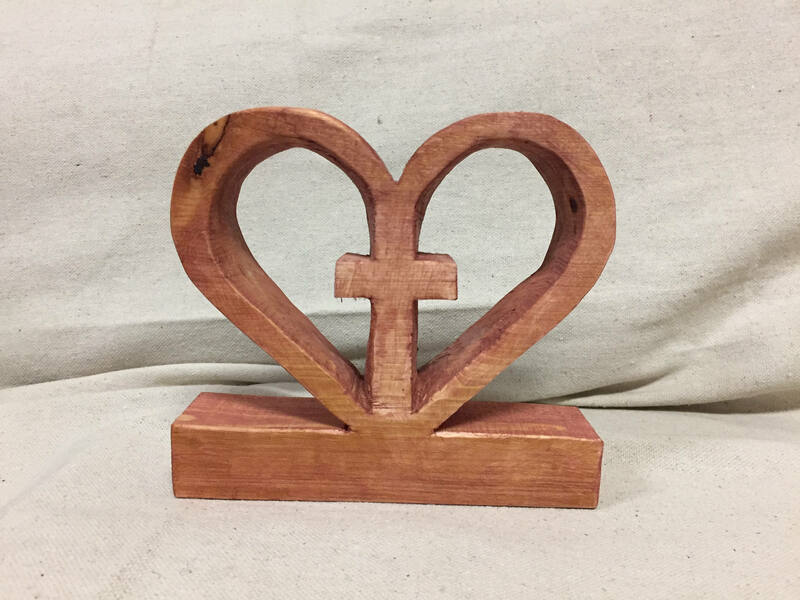 Parts of the heart and cross are hand carved. 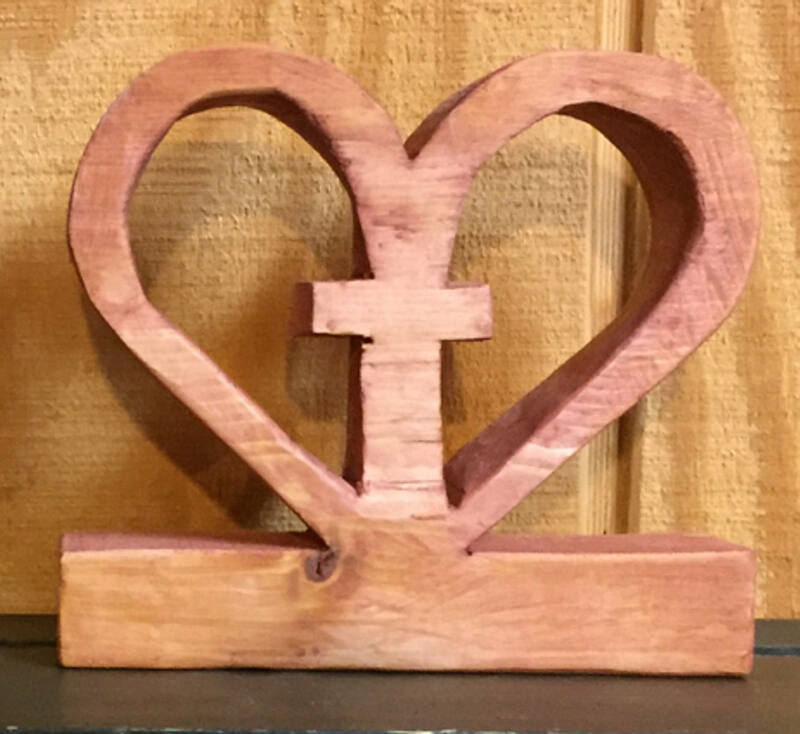 A creation from Stan's Wood Pile.